Volunteering is a great opportunity to immerse yourself in the local culture and at the same time help people who need help. But if you start looking for voluntary work, you find out that you have to pay a lot of money for a lot of projects.Sometimes € 2000, - while you go there to help. And then you still need to get airline tickets, visas and other things.Fortunately, it is not necessary to pay so ridiculously much for volunteering. Did you know that there is a way to volunteer abroad for free? On this page you will discover our projects in Laos where you can go for cheap volunteer work abroad and a number of important things that you have to realize in advance. Volunteering is donating your valuable time and skills in exchange for ... NOTHING. Yes, a nice experience and many lessons learned. That is the whole idea behind volunteering abroad. You give your time, knowledge and skills to the people who need it and do not expect anything back. Also no accommodation, food or your plane tickets. We cannot provide free accommodation and food, you pay for these matters at Let Laos Learn. If you do not do this, you are only an extra mouth to feed in an Laos that is not easy anyway. Our volunteers have no problem with this, because there are no high costs at all that they have to pay in advance to be able to participate in a project. So volunteering in Laos is cheap, especially if you know what you get in return. In practice, volunteering abroad is always done in our own initiated projects that completely dependent on gifts and donations; for good causes. We need these gifts to achieve our goals and our local team working in the projects and receiving a salary for this. The help of volunteers is very welcome because they can provide additional knowledge, skills and practical help to the project.The costs of 'flying in' and housing foreign volunteers are so high that our project cannot afford this. Also logical. Should we still have the funds, we would use them for hiring local staff. 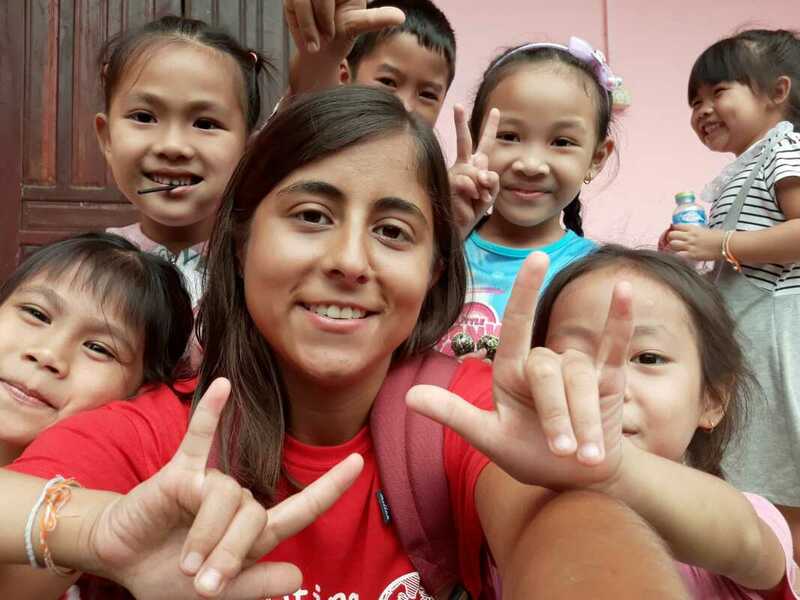 Low cost volunteering abroad is possible with Let Laos Learn. You are sure that your contribution will benefit the local community because you pay the housing costs on the spot. As a result, your time and perhaps the money you spend will be better spent and this means that your impact increases.